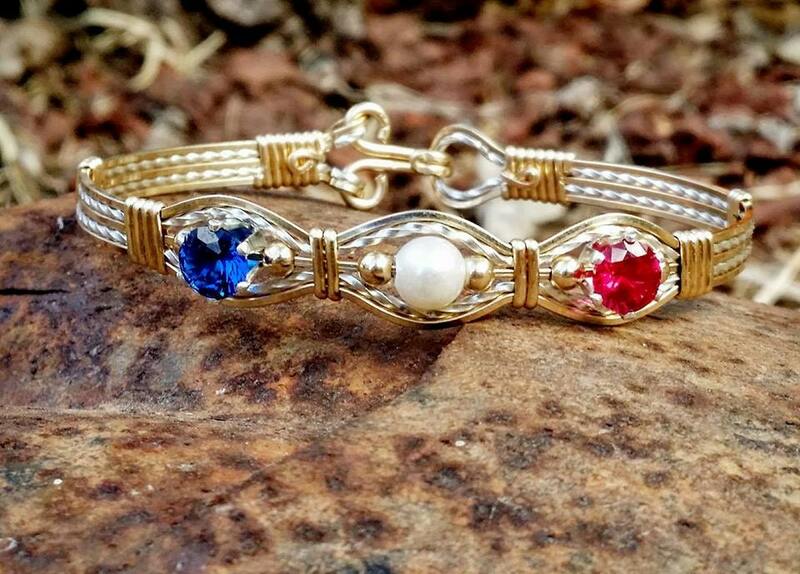 Gorgeously wrapped birthstone bracelet. This bracelet can be made in any variation of cubic zirconia birthstones. Bracelet shown is made with a freshwater pearl centered however this can be changed to another month as the others. When ordering leave color/birth month instructions in note area.